As a siding contractor, I help homeowners choose the best siding for their homes on a daily basis. For me, the start of a new client remodeling project like re-siding is super exciting — but it also can be a complicated process. Not only do many clients have careful budgets for the project, but they also have to choose what type of siding they want. There are so many different materials on the market that settling on one isn’t a decision made lightly. Thankfully, most homeowners are open to suggestions from a siding expert, which really helps expedite the process. I actually became a fan of fiber cement first as a homeowner myself. I found this newer siding continually popping up in my own research of house siding options. Fiber cement siding is pretty much what you’d expect it to be — a siding material that is made of fibers mixed with cement. This mixture is typically a combination of wood fibers (or other cellulose materials) and portland cement. Portland cement is actually part of what makes concrete — it is essentially limestone mixed with clay. There is also silica, calcium, aluminum, iron, and other elements present. This was quite different than the traditional materials, like cedar shake and vinyl, that I was accustomed to. Compared to other materials (like vinyl, wood, or aluminum), cement fiber siding kept coming up as one of the best choices from other siding experts when I was a homeowner exploring my siding options. Value: The actual cost of fiber cement siding is more expensive, but I was totally comfortable with this — because this material is going to outlast other house siding options. In terms of longevity, it is a high-value house exterior siding to go with. Aesthetics: Cheap vinyl with tacky wood print? No thanks. I love the look of wood, but as someone very experienced with potential issues with wood siding, I was torn between installing wood or trying to find a faux option that still looked like the real thing. Thankfully, cement fiber siding comes in a faux wood design that legitimately looks like the real thing. Most homeowners probably won’t even notice the difference, with siding experts probably being able to tell once they get up close to the wall. Ease of Care: Like I said, I love the look of wood. But getting wood siding wasn’t really high on my wishlist — because of the maintenance that wood siding requires. I don’t know about you, but the less time it takes for me to care for the exterior of my home, the better! Life gets busy and knowing that your exterior isn’t going to need hours of upkeep is important for me. Another reason I decided to go with fiber cement siding is because it’s becoming more popular in my region, particularly in my neighborhood. With fiber cement becoming more common in my local area, re-siding with it seemed like a smart choice for me — especially since I plan on selling the home in about 5 years. As a siding contractor, I offer a few different siding materials but I’m always searching for more innovative house siding options. Business-wise, it makes sense to offer installation of cement fiber siding to my clients who are also noticing the popularity of fiber cement siding these days. Most of the time, jumping on a bandwagon isn’t a good idea for homeowners. But when it comes to a situation like this, you should really consider what is popular in terms of modern home exterior design in your area. This is especially true if you plan on selling your home in the near future — like I do. Highly Durable And Long-Lasting – If you’re about to spend thousands on your home, you definitely want something that is going to last — and fiber cement does just that. Warranties will vary based on the fiber cement brand, but there are some companies that have upwards of a 50-year warranty on their siding! Available In A Huge Range Of Colors And Designs – If you’re like me and love the look of wood, you’ll be a big fan of fiber cement. If wood isn’t your thing, have no fear. Fiber cement can also be found in smooth boards or other panel designs that look like brick or stone. You can choose any color (custom or matching another part of the home’s exterior) as well. Resistant To Weather And Wildfires – Wildfires and storms are scary, especially for homeowners. If you live in an area that is prone to damaging storms or harsh temperature swings, or you live in a region that battles wildfires often, then fiber cement siding is the best choice. Not to mention the fact that insects can’t really damage this siding! Essentially, the horror stories I see as a contractor with neglected or damaged siding can be avoided by using fiber cement. Fiber cement is one of the most expensive common composite siding materials — not just in terms of the panels themselves, but also in terms of labor costs. As you’d expect based on how these siding panels are manufactured, fiber cement siding panels are very heavy — so they require more labor to install. You will need a tough crew that can safely handle heavier materials compared to vinyl or other lightweight synthetic siding materials. As you can see from the video, fiber cement isn’t the best or safest material for a tempting DIY project. As a fiber cement siding expert, I’m also cautious about the silica dust that is released during cutting — it’s actually quite dangerous if inhaled. Even a re-siding project on a small house could yield enough dust to cause serious harm. It’s important that anyone in the vicinity of fiber cement being cut with a saw wear breathing and eye protection. Thankfully, fiber cement is also easily scored and snapped, so many times we can avoid dust by using this method. It’s a good idea to do some research on your own before deciding whether fiber cement siding would be a good choice for your home or not. However, with so many homeowners all over the country being happy with fiber cement, it really goes without saying that this siding is probably going to be a great choice for your home as well. Matt Lee works for Allura USA, a leading manufacturer of fiber cement building products. 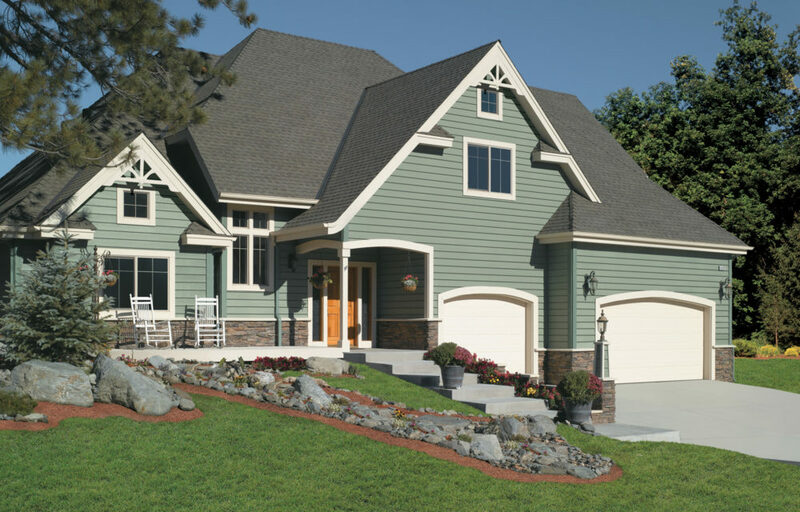 As a siding contractor, Matt’s expertise is in helping homeowners choose the best siding for their homes.